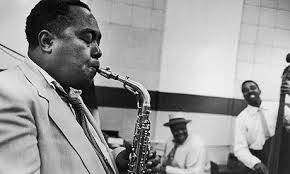 Charlie Yardbird Parker was one of the most influential and respected jazz musicians who ever lived. In his career he was a saxophonist known for his ability to improvise, giving impressions solos that shaped the grooves of many fans and musicians to come. Charlie Parker’s career only lasted for about 18 years until his untimely death at the young age of 34 in a friend’s apartment in 1955. Though he had an unfortunate end, he did have a very successful life, starting with his birth back in the early 20’s. Charlie was born on August 29th 1920. He grew up as an only child to his parents, Charles and Addie Parker. When he was very young, music in the jazz and blues department was starting to rise. After many years of playing music when he was in school, at the age of 15 he departed from school to pursue his music career in 1935. He started by playing with local bands and gain professional experience, like the Leonard Band for example. Eventually he went to visit New York in 1939 where he met a guitarist known as Biddy Fleet. In New York he learned how to achieve harmony amongst the instruments and in due time became very good at it. This practice lasted up until the year 1942 where he moved to New York where he had a lot of fun and learned a lot. It is said that in this time, his style got most of it’s influence. Some time before that, Charlie was a regularly occurring musician at a club that on 52nd street. There Charlie would jam all night long gaining more and more fans who loved his work, and eagerly awaited his next move musically. All this was well and good until, something terrible happened. Charlie’s father, Charles Parker died and he attended his funeral down in Kansas City. Not long after, he joined a band known as The Rockets, which was lead by Harlan Leonard, where he played for about 5 months. Soon after, Charlie joined up with a band along with a pianist known as Jay McShann where they toured all over New York and Southwest Chicago. But recent events would cause them to depart, at least for the time being. Not too long after, Chalie rejoined McShann where he was made in charge or the reed section and along with the McShann Orchestra, landed his first recording. In this stage of his career, Charlie was given so many different opportunities to play some pretty cool recordings, including: Hootie Blues, Sepian Bounce and Confessing the Blues. This particular spike in his career went on for about 4 years. He then left the McShann Orchestra and joined up with Earl Hines in 1942. As the years went on, his career started to reach it’s incredible peak. He performed at many nightclubs,radio stations other countries, made many recordings and toured all over Hollywood. He was one of the big names behind the development of bebop and was loved by so many people. But the ride did not last that much longer. Charlie’s last public appearance was when he played at a nightclub that was named in his honor in New York. 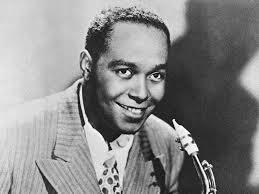 About one week later on March 12th 1955, Charlie Parker lost his life. His cause of death was a lung attacking pneumonia known as “Lobar Pneumonia” as well as an illness capable of burning through the wall of a stomach known as a perforated ulcer. 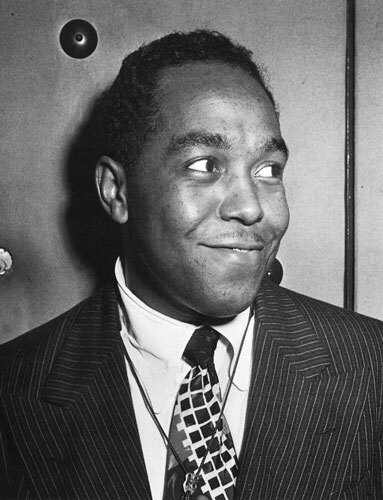 However, though he lived a short life with an almost equally short career, Charlie Parker proved to so many that he is more than worthy to be one of the prime legends of Jazz.